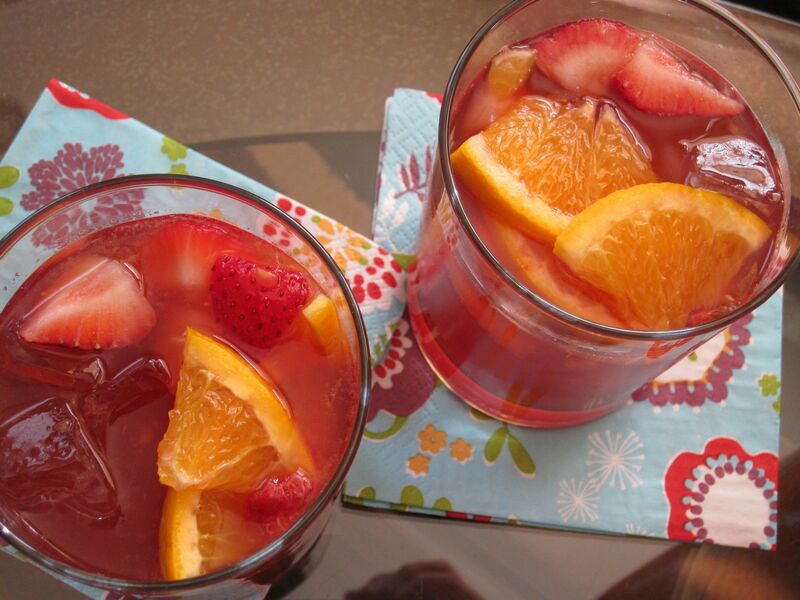 This recipe, from Cooking Light, says it serves 8 but we think it really serves 4! 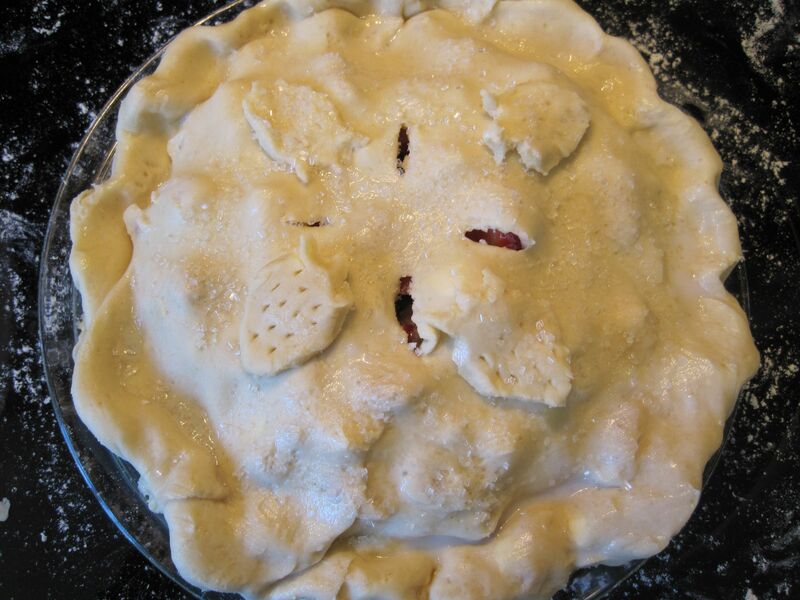 Preheat oven to 425 degrees, with a lined baking sheet inside. 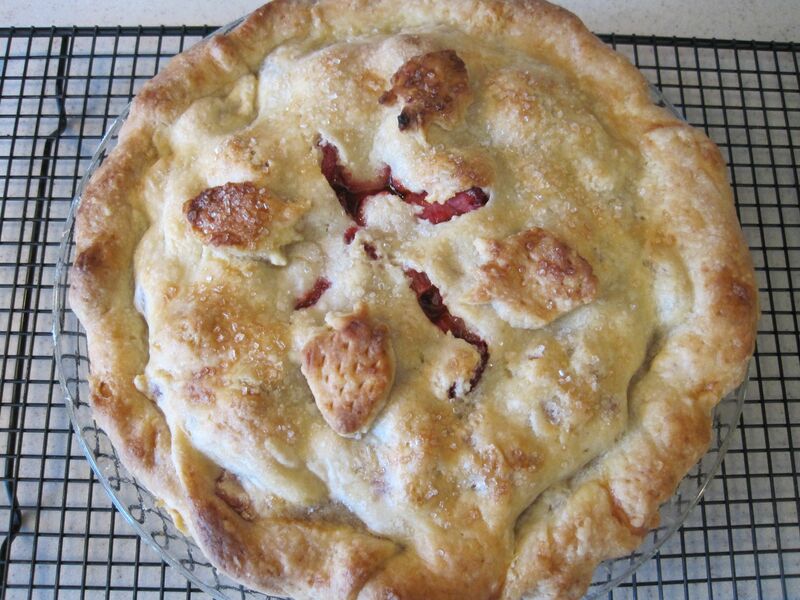 In a large bowl toss together strawberries, rhubarb, sugar and cornstarch. 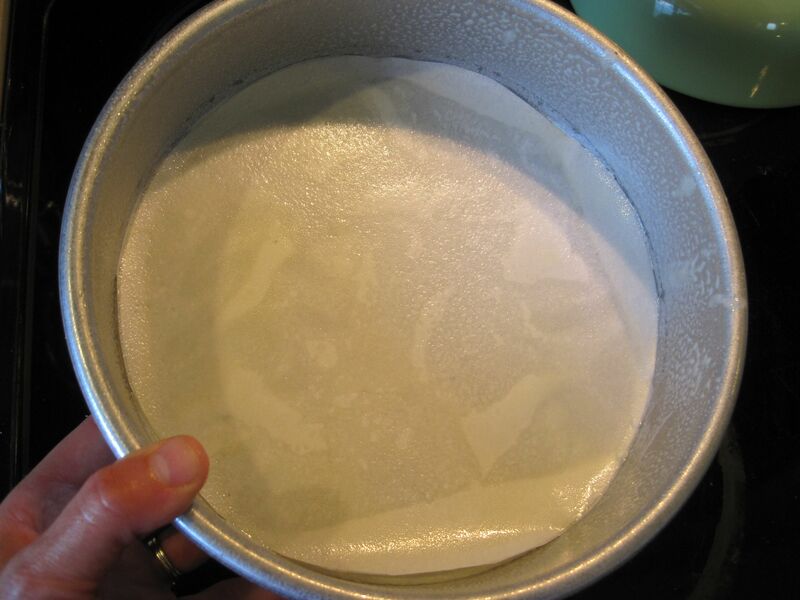 Roll out half the pie dough on a floured surface and transfer to a 9” pie plate, trimming the overhanging dough. 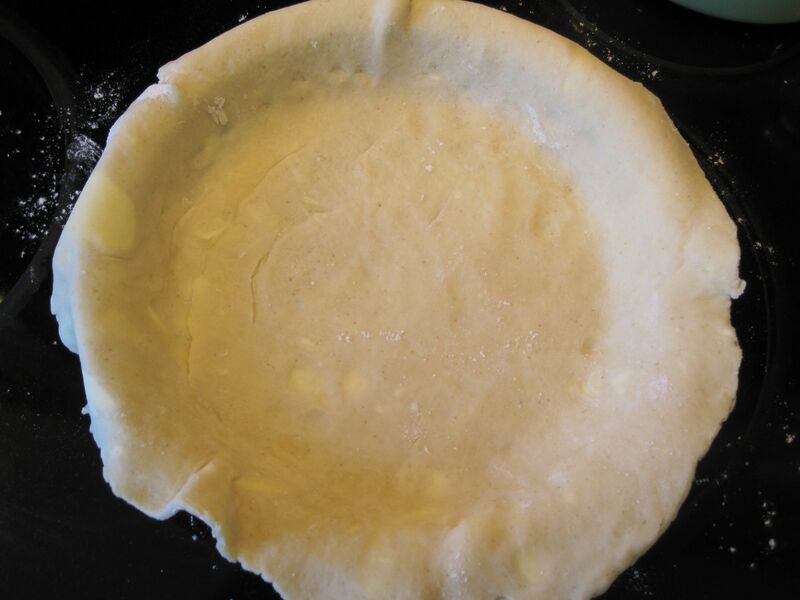 then tucking the dough underneath the bottom dough, crimping around the edge. Cut a few vents for steam to escape. 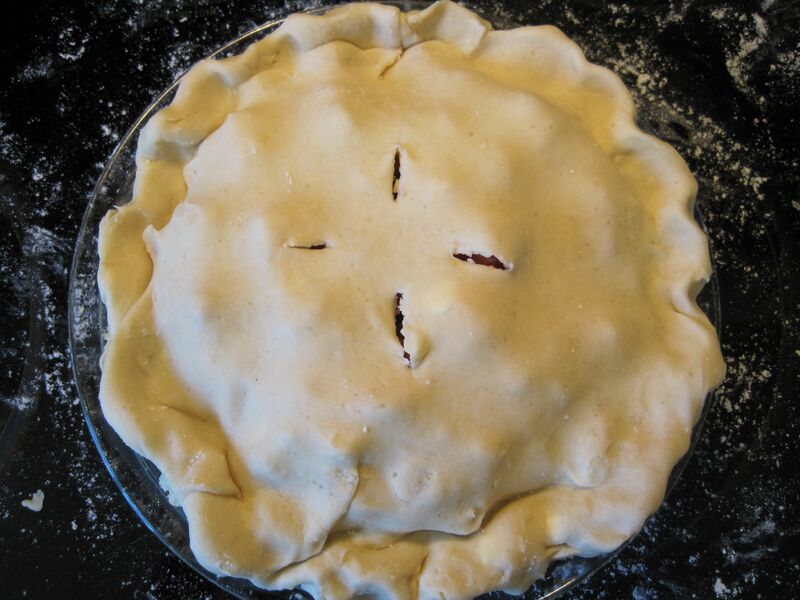 until the crust is golden and the filling is bubbling (you may need to cover the edge of the crust with strips of foil if they get too brown). 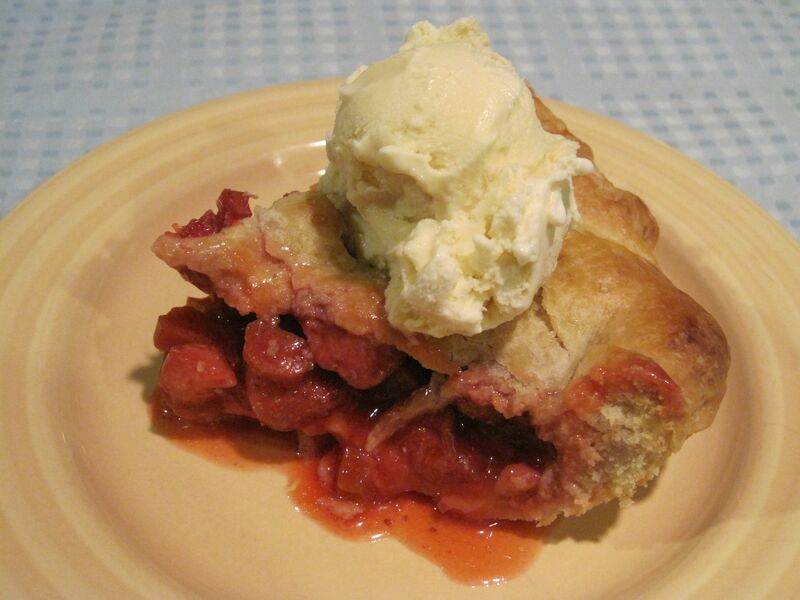 Serve warm or at room temperature, with vanilla ice cream or frozen yogurt if desired. 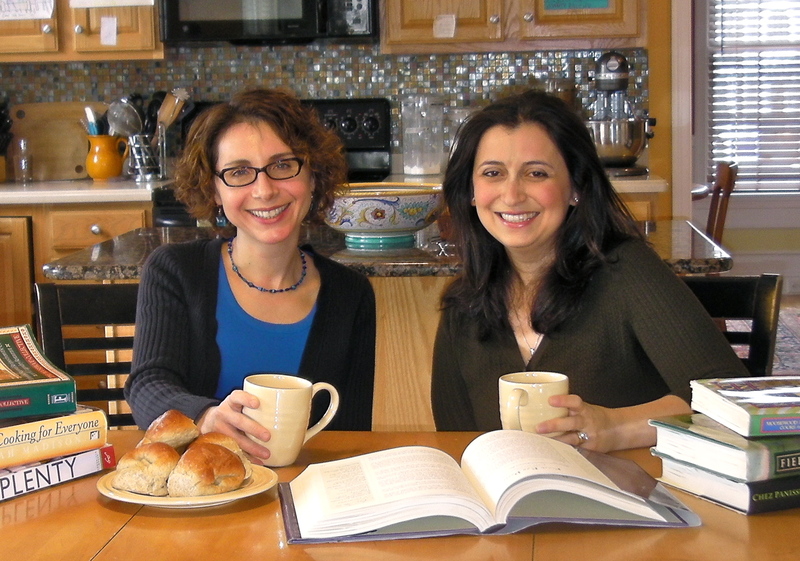 This recipe comes from Cooking Light. 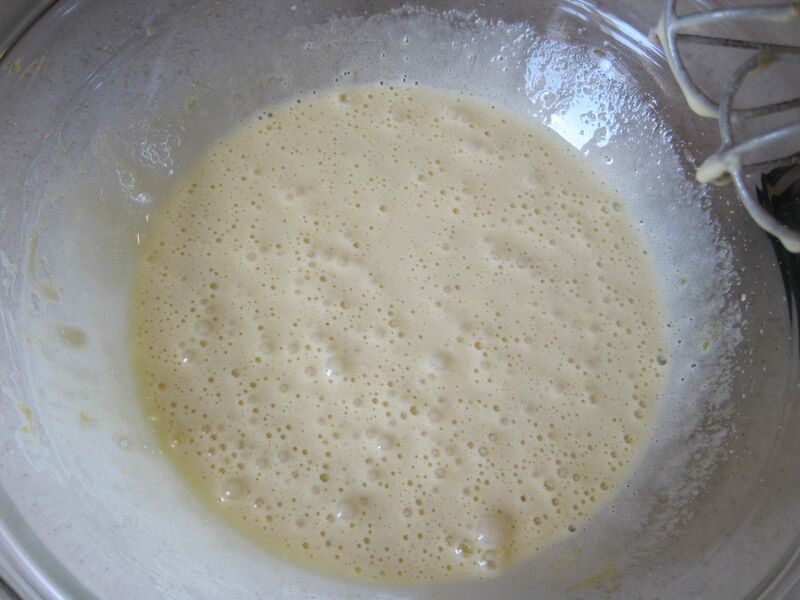 Combine sugar and water in a small saucepan, bring to a boil over medium heat, then remove from heat and let cool. 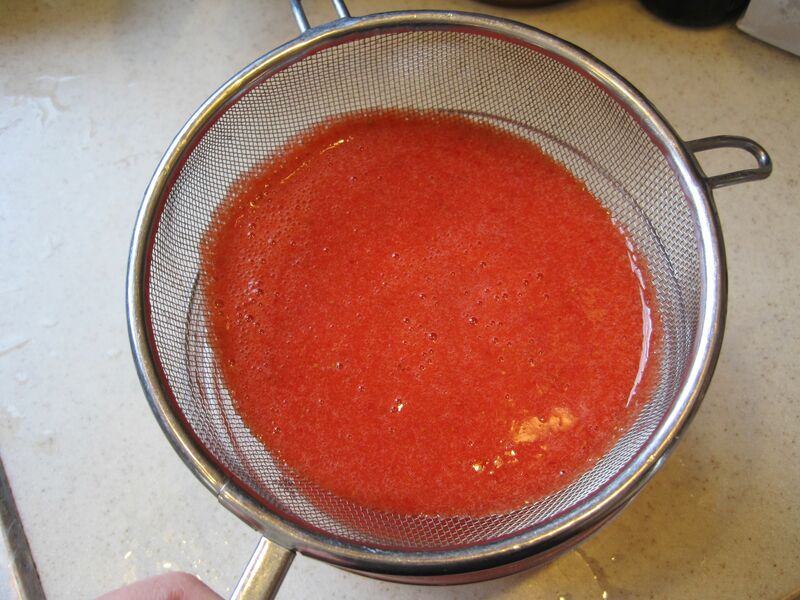 then strain into a bowl through a fine-mesh sieve, discarding solids. 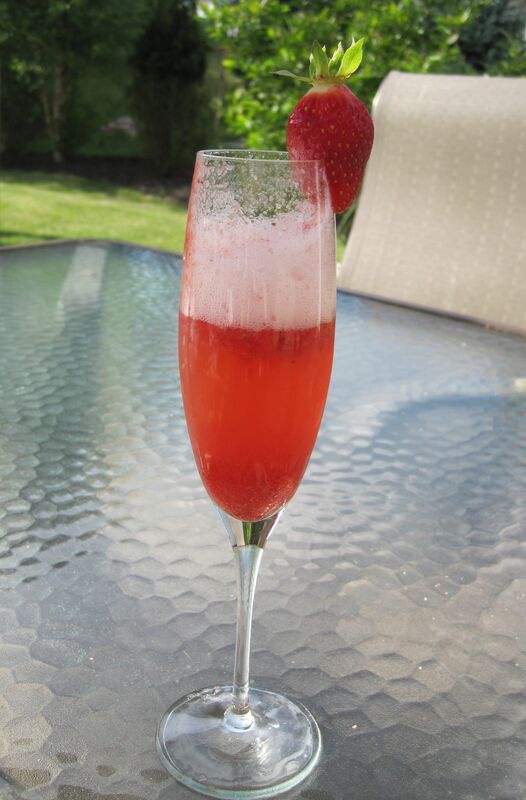 To serve, pour 3 TBS strawberry puree into a champagne glass and top with prosecco. 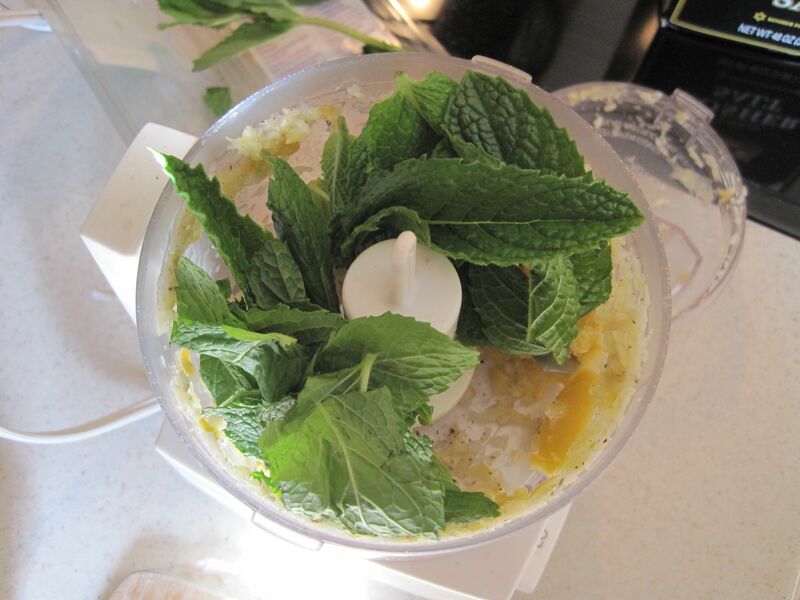 Like the limoncello – mint champagne cocktail, it sort of makes a mess of the glass but tastes better than it looks! 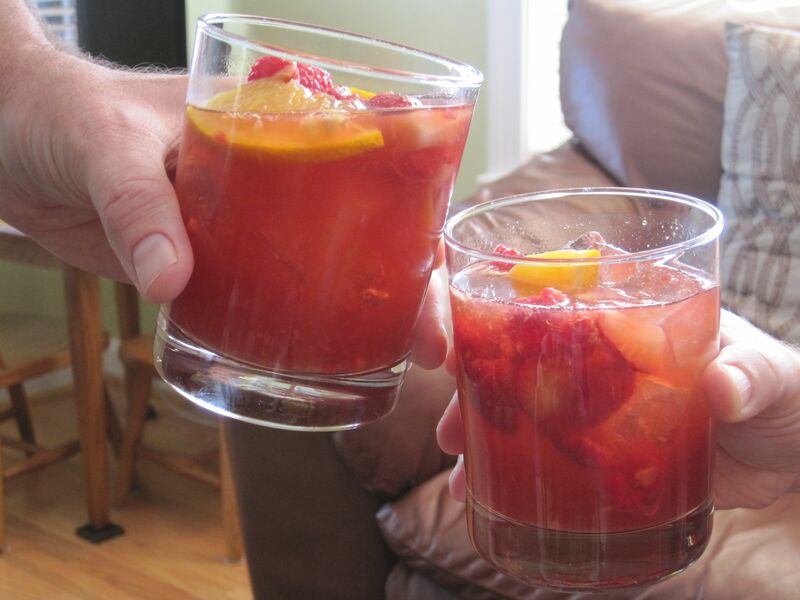 celebrating both the local strawberries now in season and Ira’s birthday. 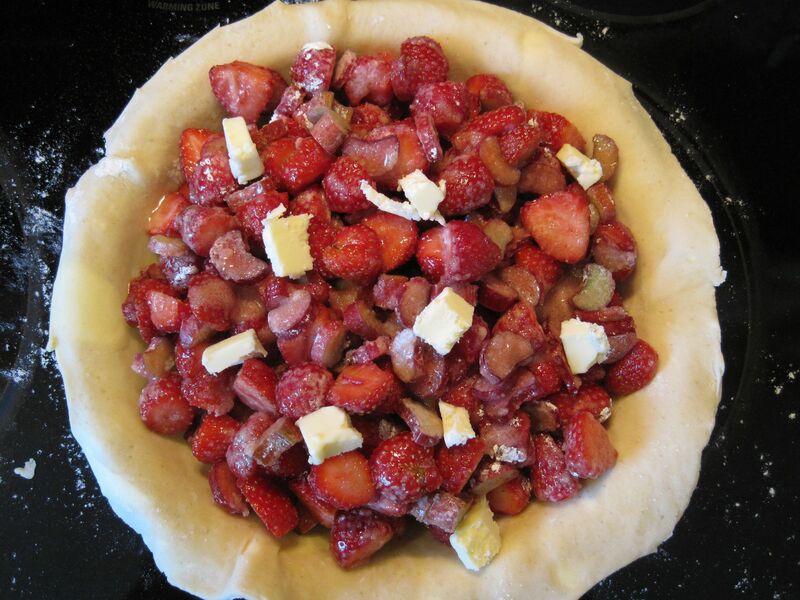 After picking strawberries at a local farm, I came up with this menu: Strawberry Bellinis with Goat Cheese and Balsamic Onion Phyllo Pouches; Broiled Salmon with Mint and Preserved Lemon, Strawberry Salad with Feta and Pistachios, and No-Knead Bread; Chocolate – Strawberry Cake. 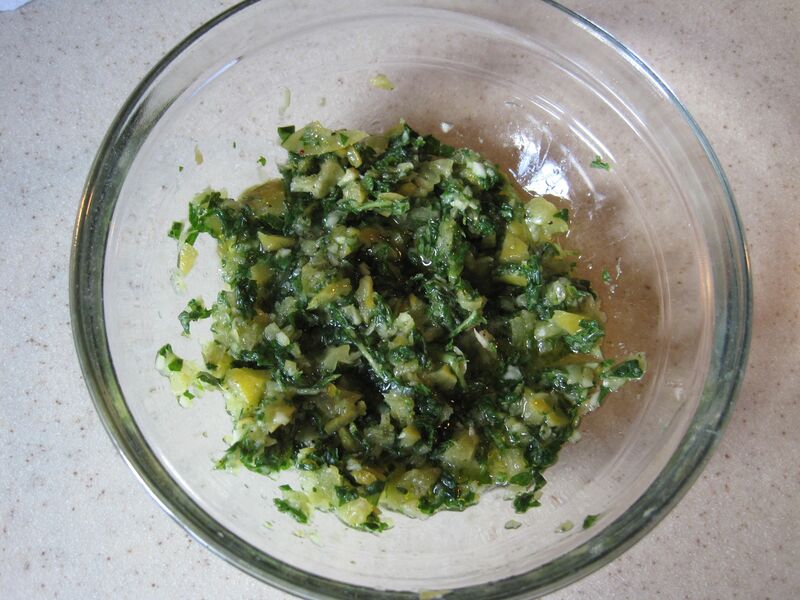 then add the mint and process again to finely chop. 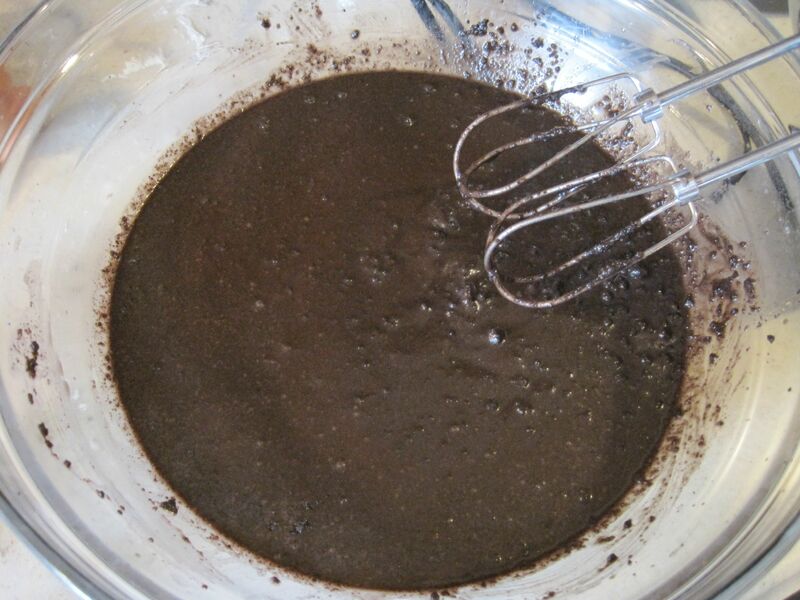 Transfer mixture to a bowl and stir in 2 TBS oil, 1/2 tsp salt and pepper to taste. Preheat broiler. 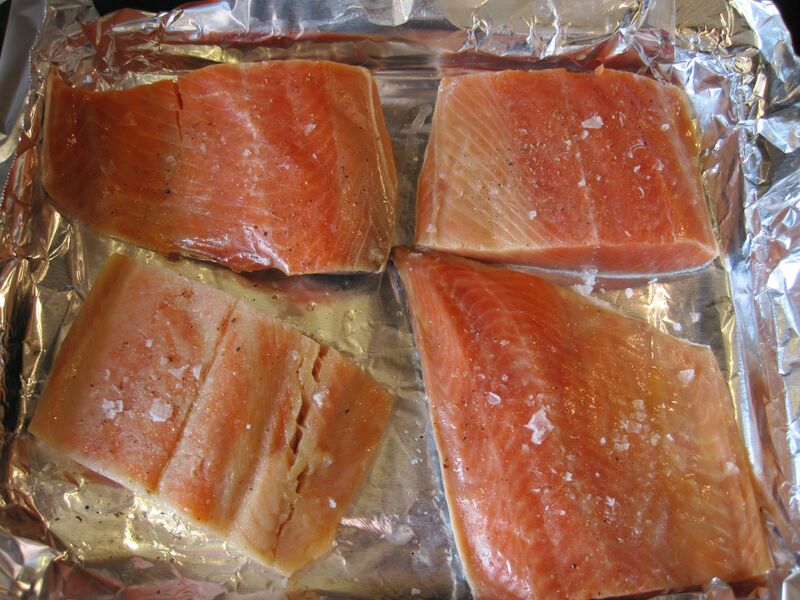 Brush salmon fillets with oil, season with salt and pepper, and broil a few inches from the heat for 10 minutes, or until just cooked through. 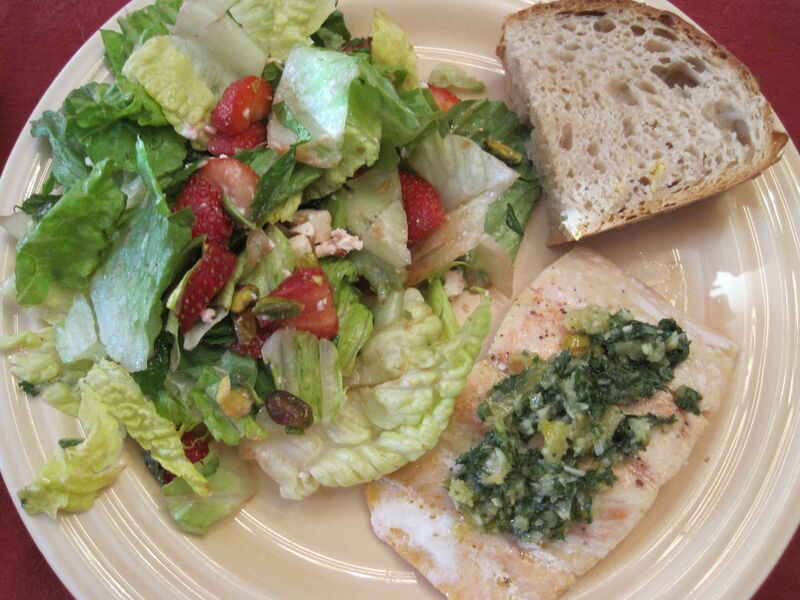 To serve, divide mint/lemon mixture on top of salmon fillets. 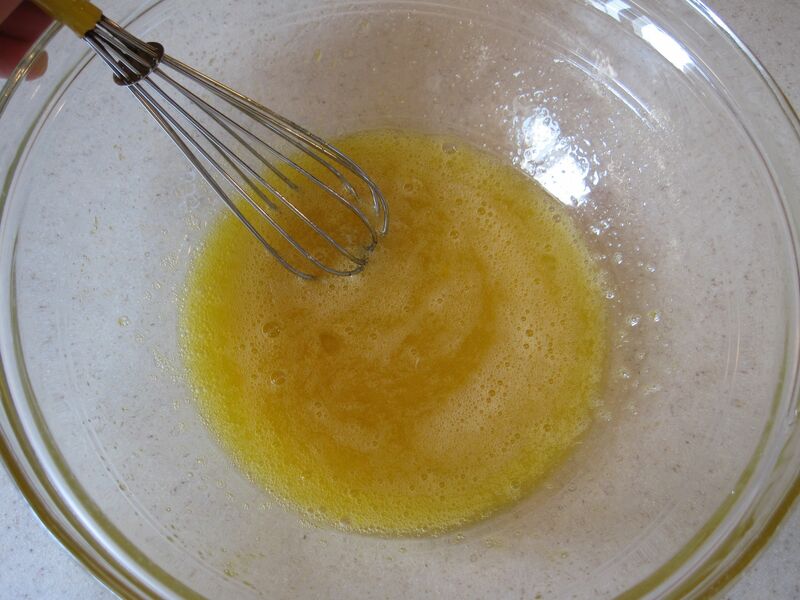 Whisk together vinegar, oil, salt and pepper. 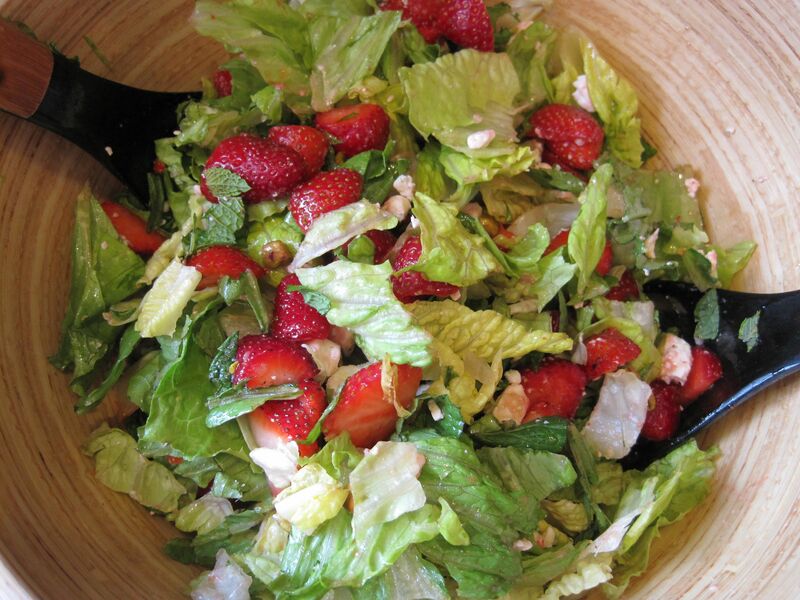 Toss together salad ingredients, then add dressing and toss gently to combine. 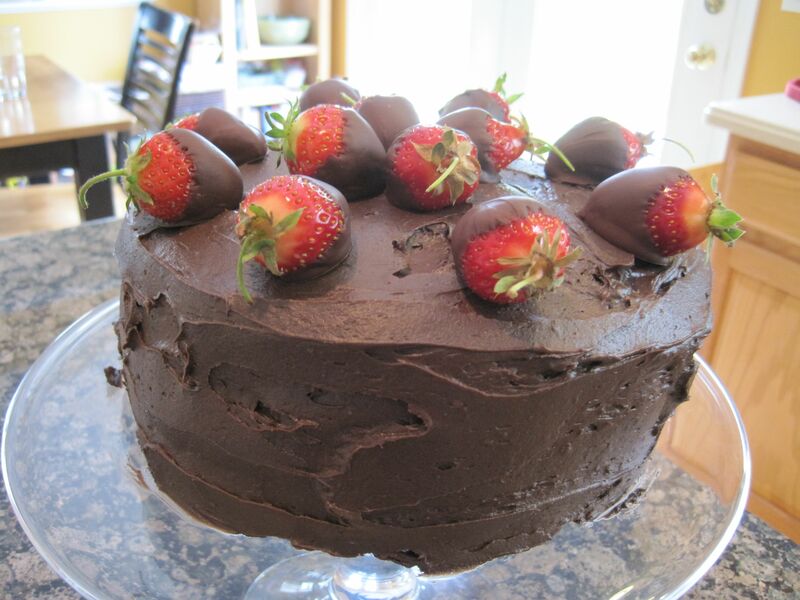 This was the cake my son and I made to help Ira celebrate her birthday, and to celebrate the appearance of local strawberries. 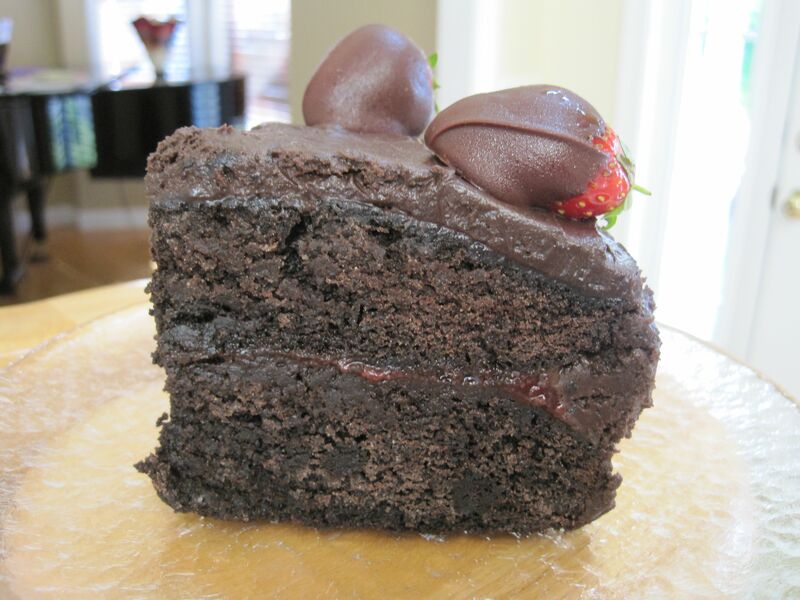 The cake recipe comes directly from the King Arthur Flour Unbleached Cake Flour box. 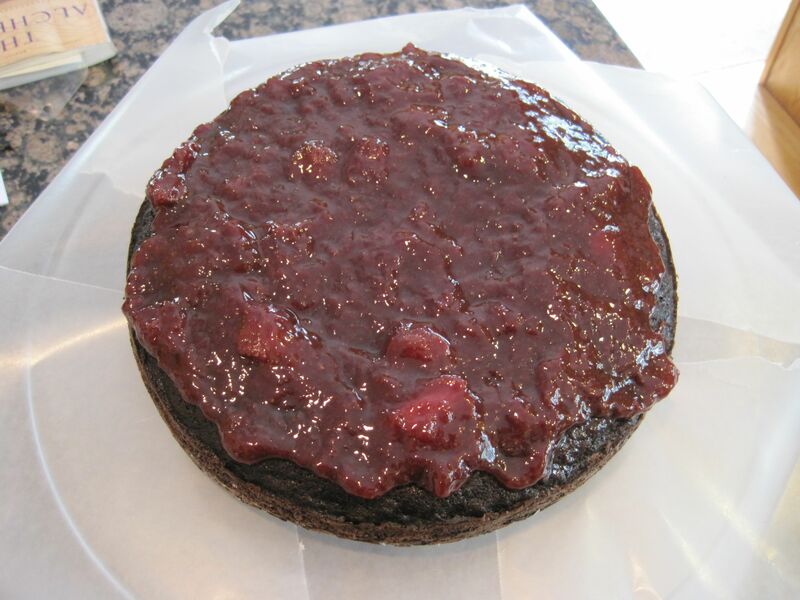 The strawberry jam in the middle brightens the cake and cuts the sweetness of the frosting. 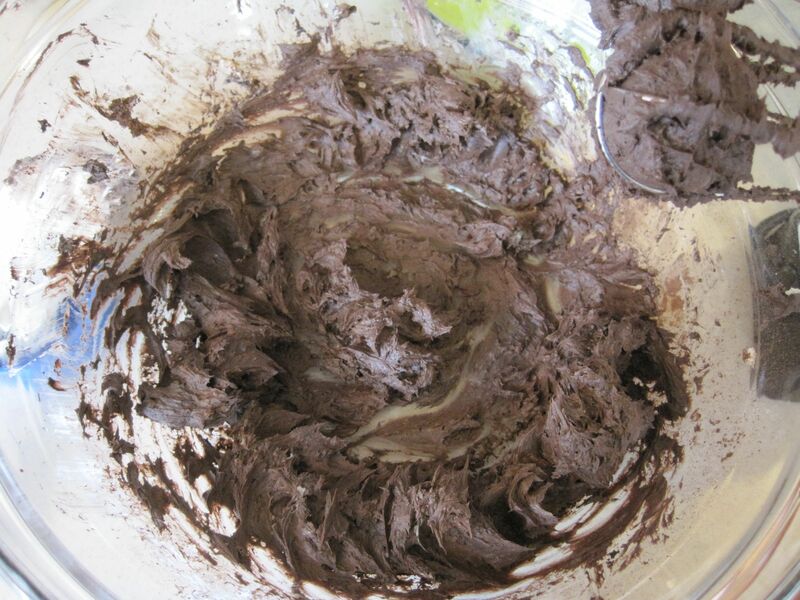 This is my favorite chocolate frosting recipe, adapted from Cooking Light. 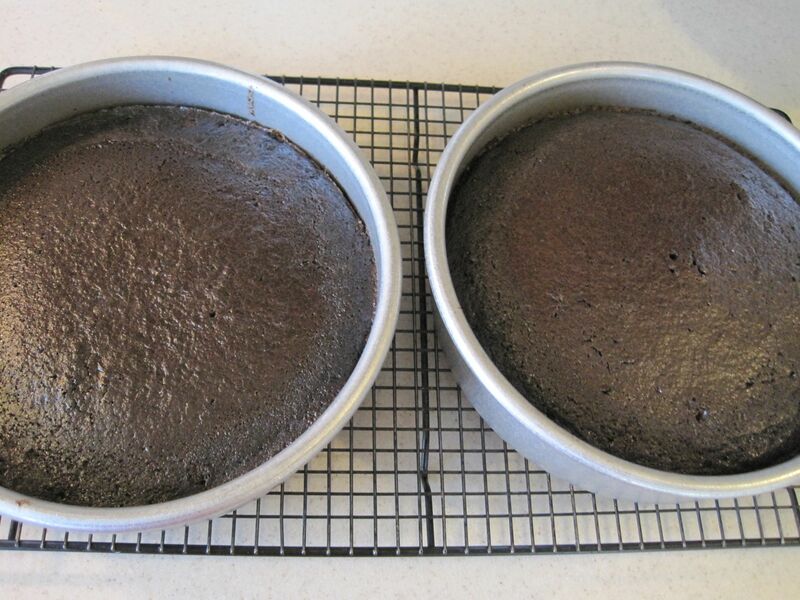 Prepare two 8” or 9” cake pans by spraying them with cooking spray, lining them with parchment paper and then spraying the paper (to line with the paper, trace the pan on the paper, then cut it out). Preheat oven to 350 degrees. 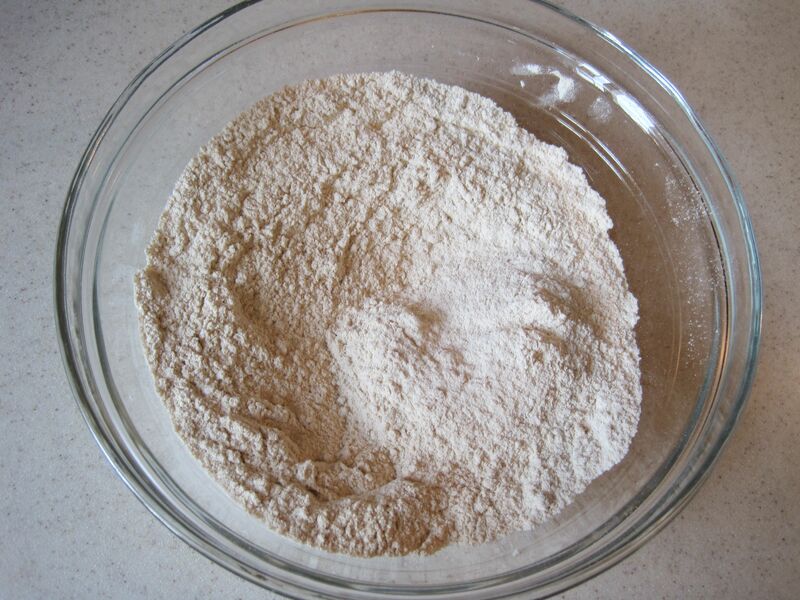 In a large bowl, whisk together flour through sugar. 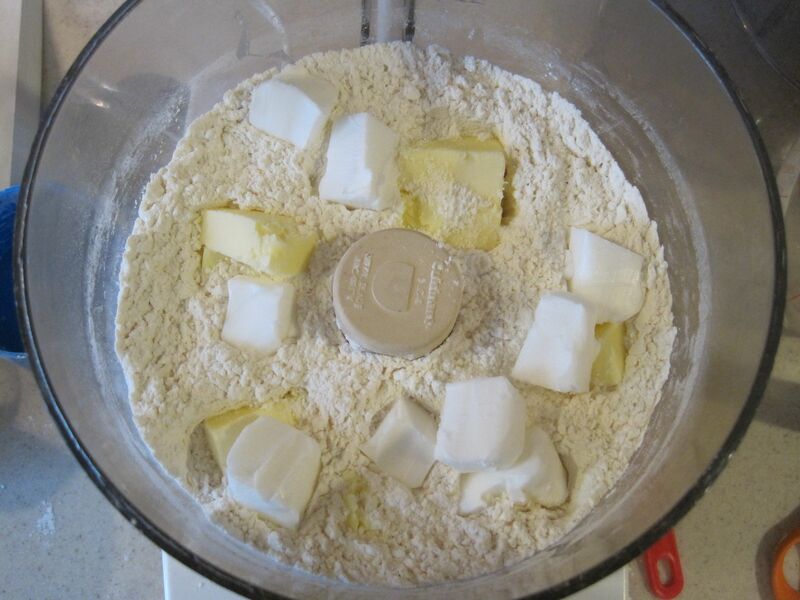 Place butter in the bowl and, using an electric mixer on low speed, blend the butter into the flour mixture for 1 minute. 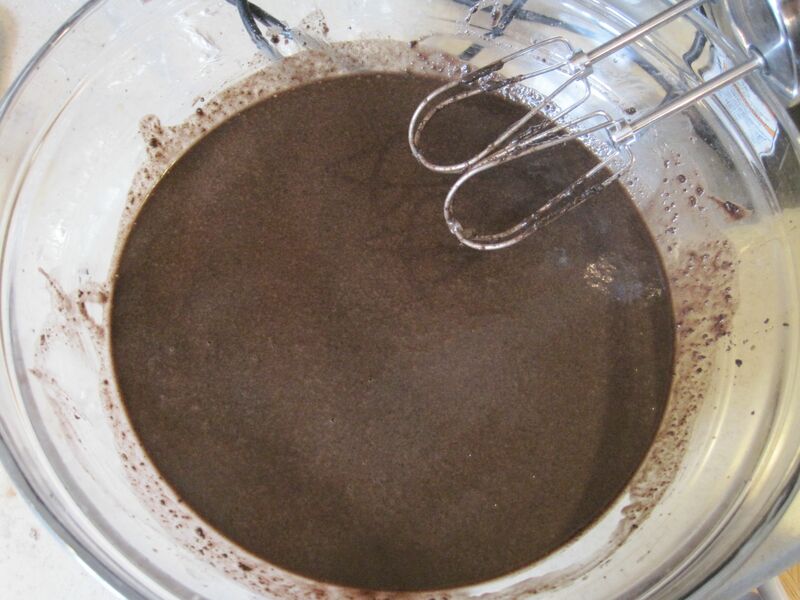 With the mixer running, pour in the oil and mix for 1 – 2 minutes, until the mixture looks like wet sand. 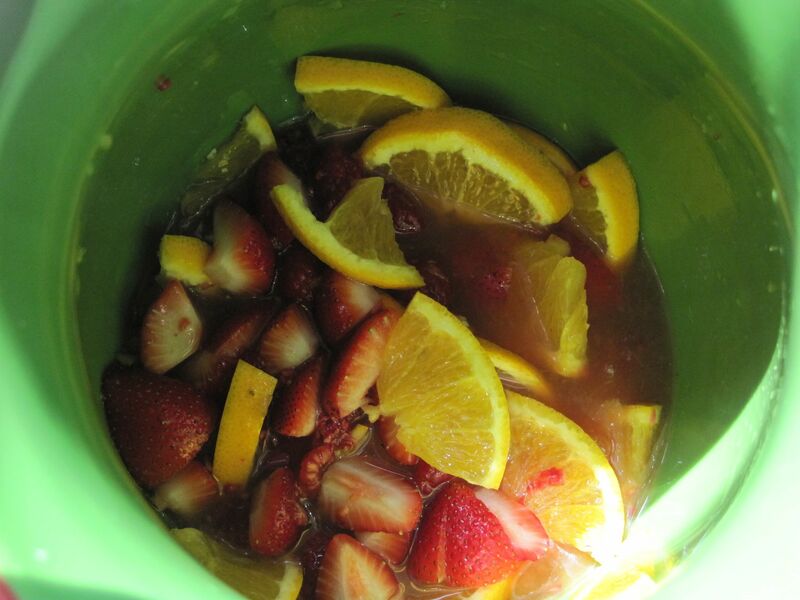 Add in vanilla, skim milk and coffee, and mix well. 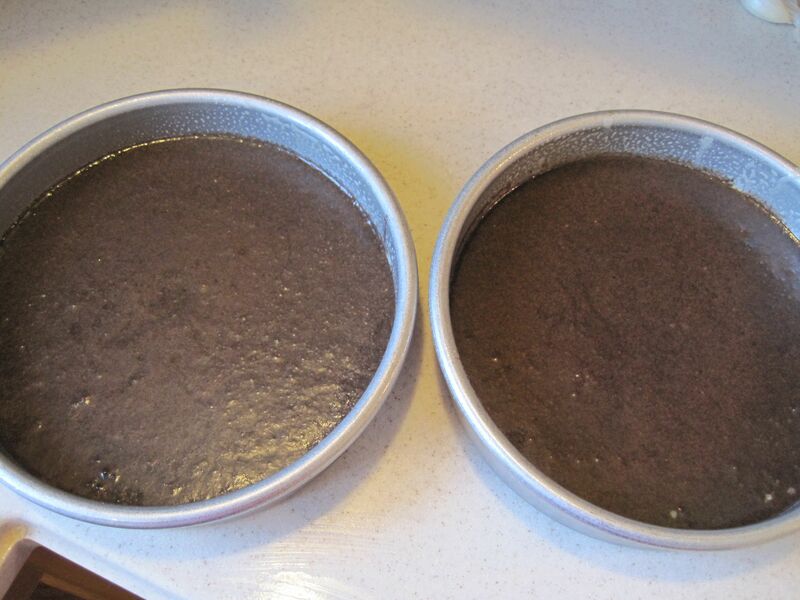 the cakes are done (toothpick will come out clean). Let cool on a wire rack, then turn out. 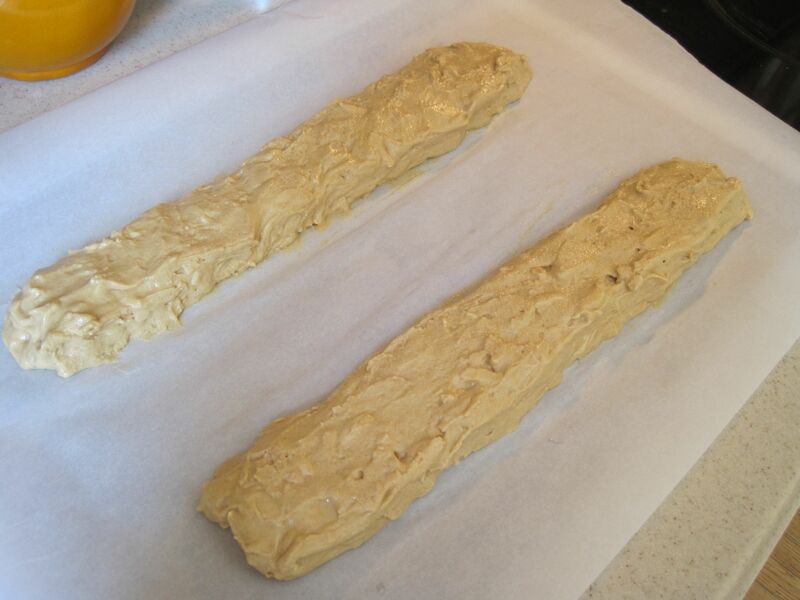 If you make them ahead, wrap well in plastic wrap, then foil, to freeze. 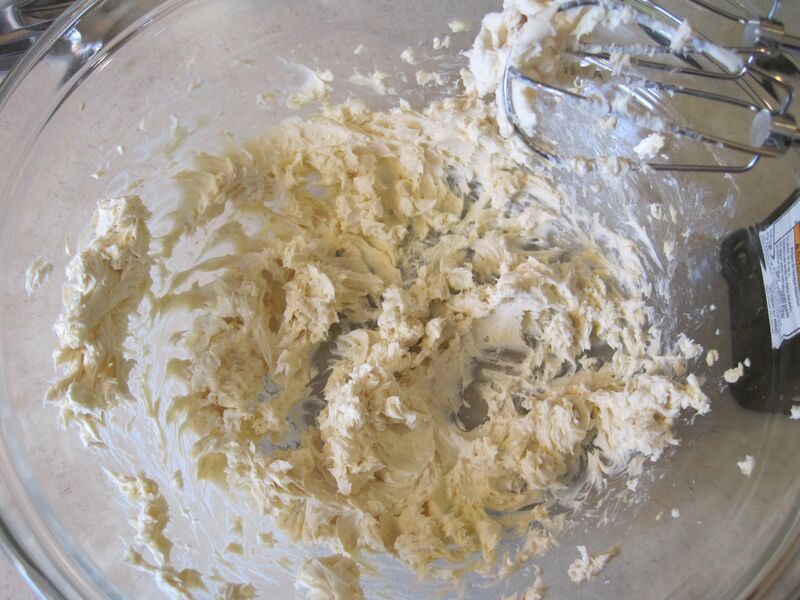 Using an electric mixer, beat together cream cheese, butter and vanilla until smooth. then add the it to the cream cheese/butter mixture and beat at low speed until it all comes together; then beat at high speed until light and fluffy. To make chocolate-dipped strawberries, simply heat some chocolate chips in a microwave-safe bowl on HI for 1 minute, then stir until melted and smooth. 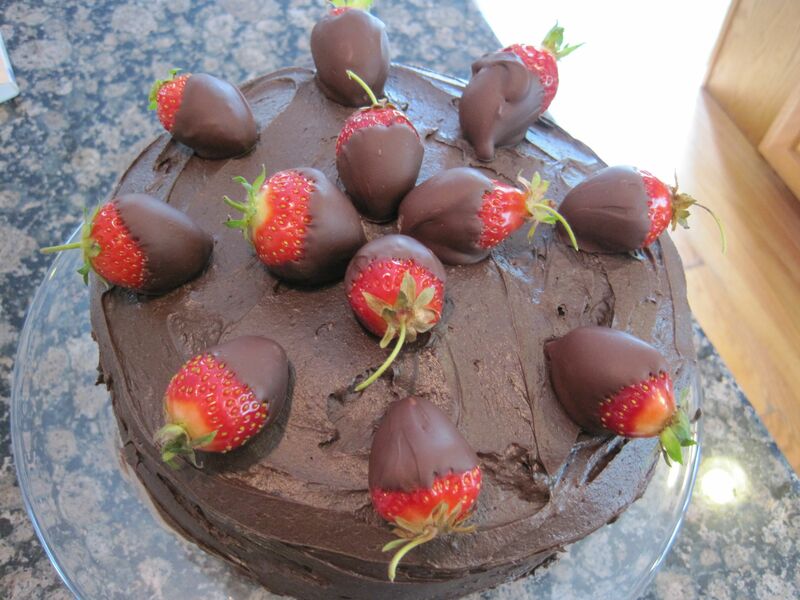 Dip strawberries into chocolate, then place on parchment or waxed paper and let cool (or place in fridge for faster results). 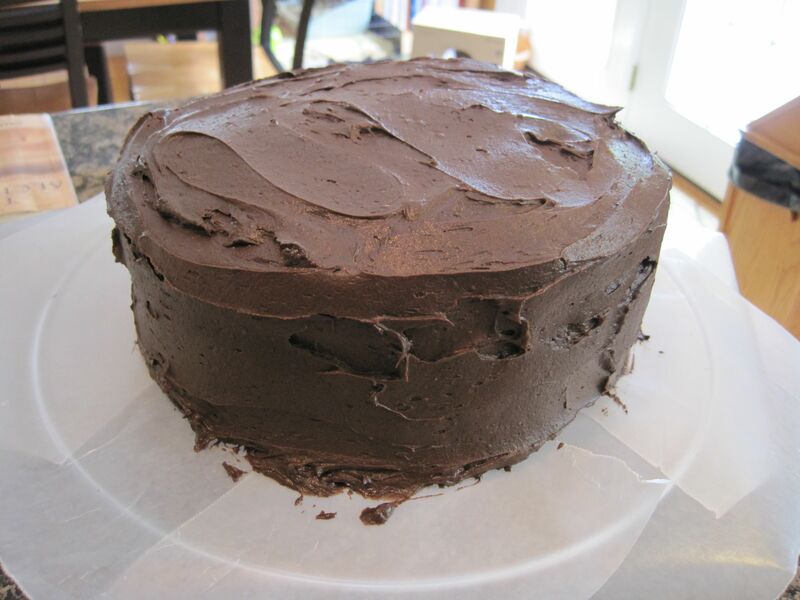 top with second layer of cake, and frost (sides first, then top). 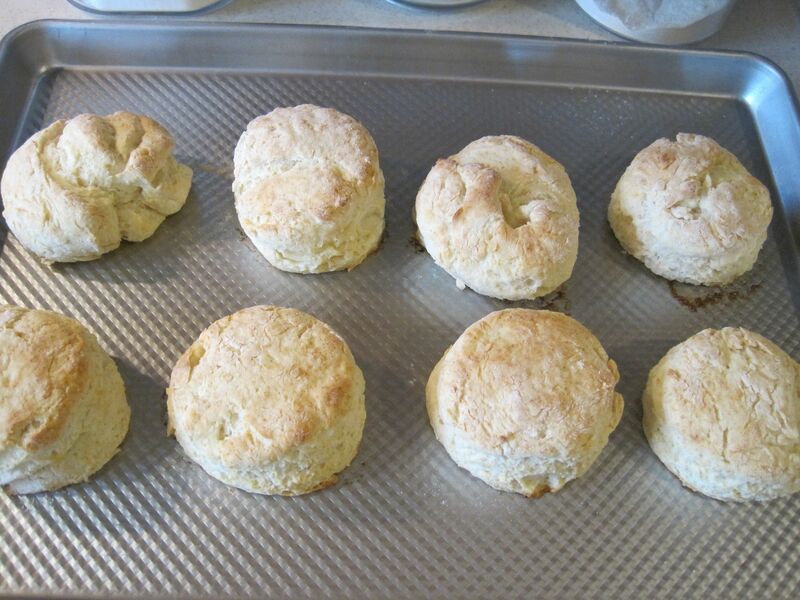 This recipe makes 8 large biscuits. 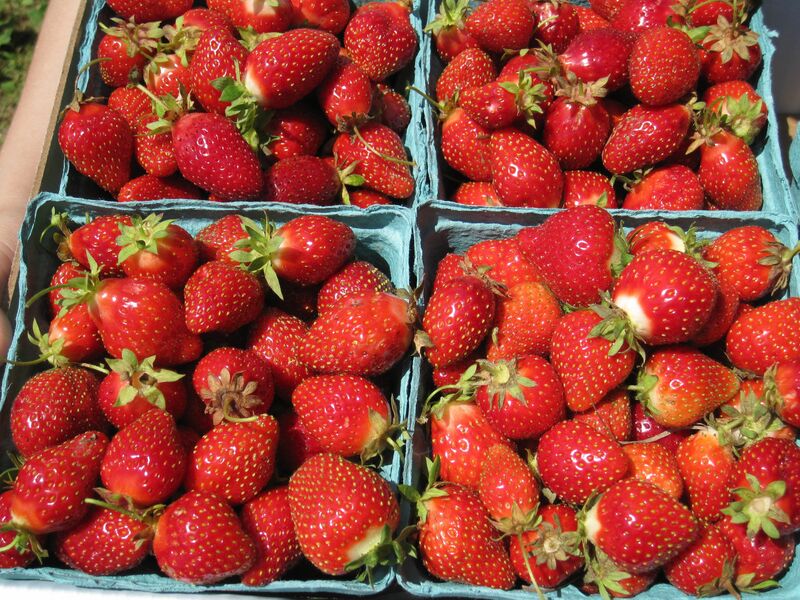 Local strawberries are just coming in where we live and one of the easiest recipes in which to use them is fresh strawberry jam. 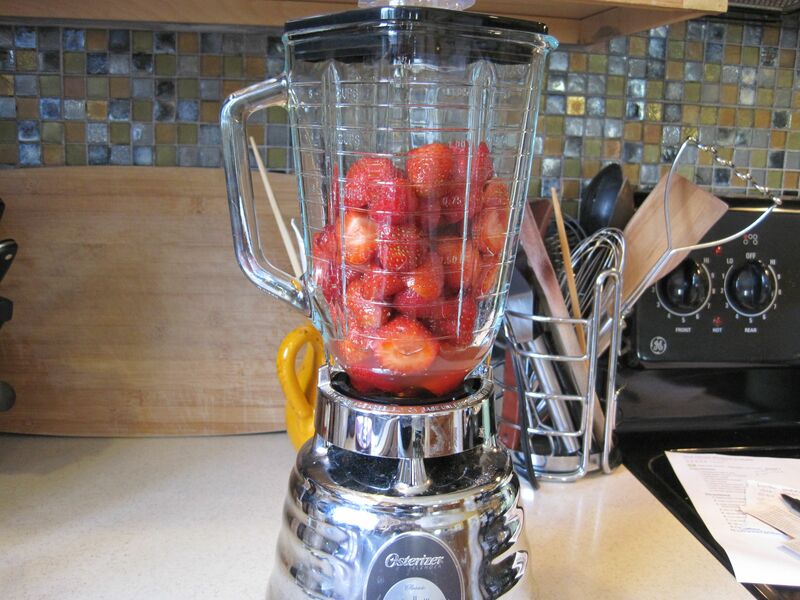 For 4 cups of strawberries (halved or quartered if large), add 1 cup sugar; cook in a large pot over medium heat, stirring occasionally, until thick (this can take an hour or more, depending on how much you start with). 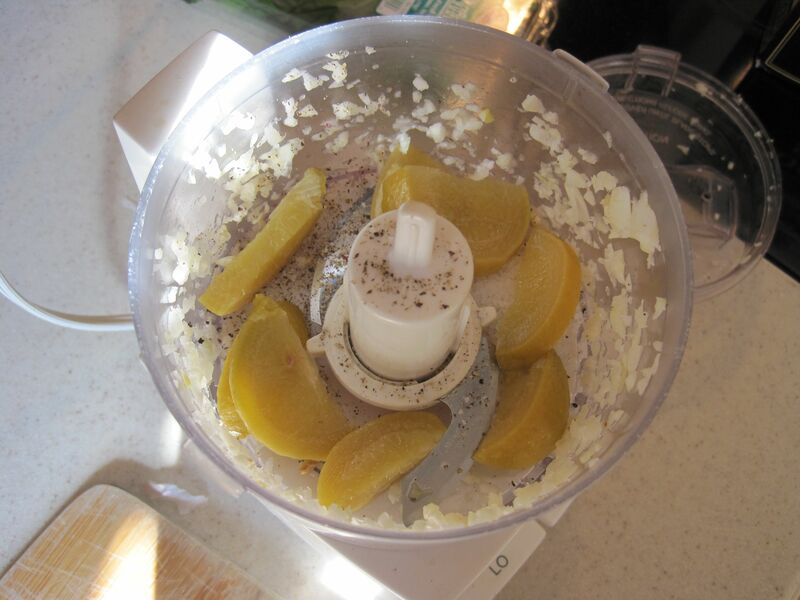 Stir in 2 tsp fresh lemon juice, let cool, then refrigerate for up to a month. 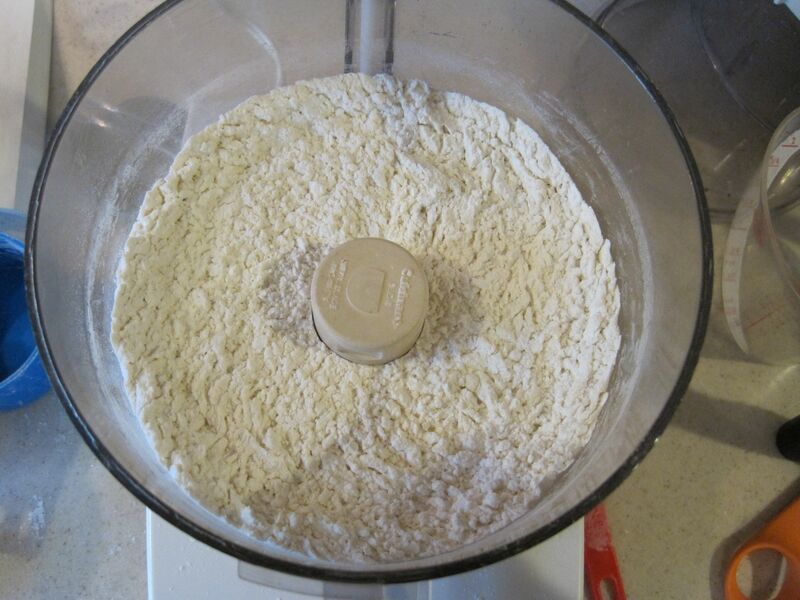 Using a food processor, pulse together flour, baking powder, baking soda, sugar and salt. 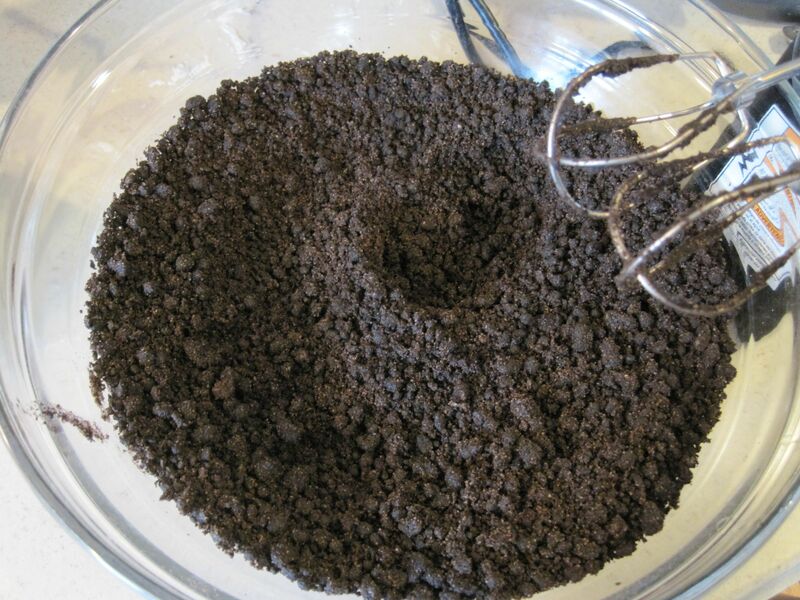 until the mixture looks like rough crumbs. 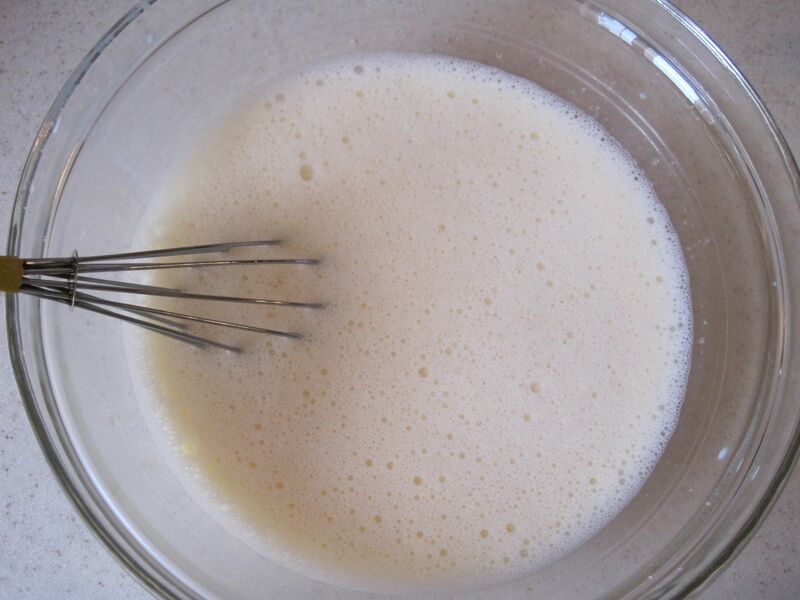 Transfer mixture to a bowl and stir in buttermilk. 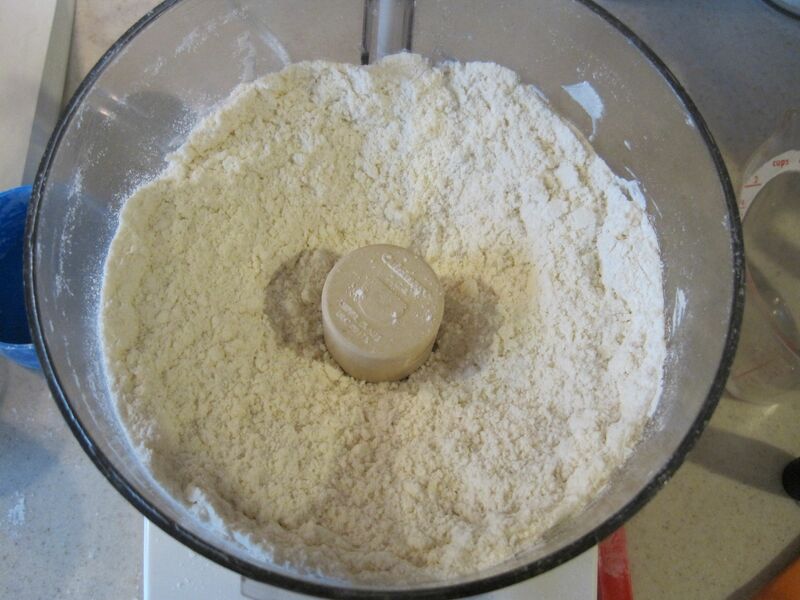 Gently transfer dough to a well-floured surface and pat into a rectangle about 1” thick. 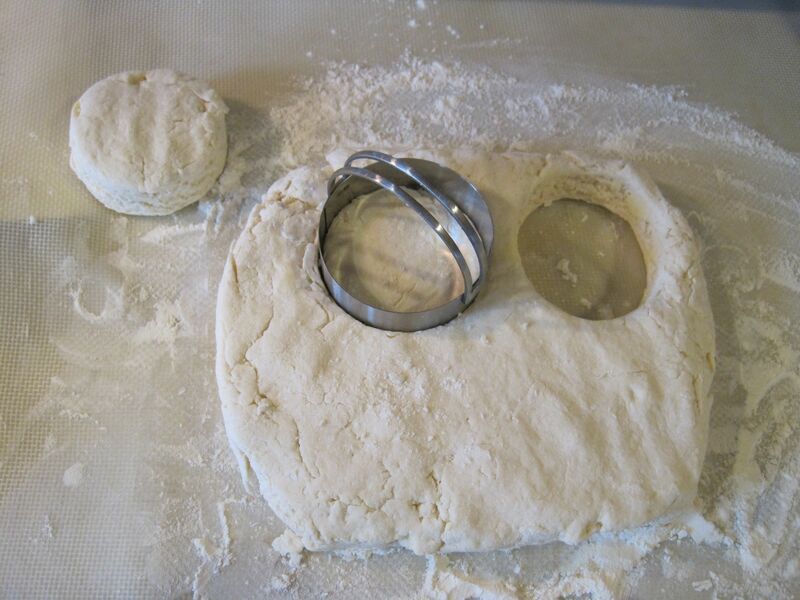 Using a 2 3/4” – 3” biscuit cutter or glass, cut out (go straight down and up, don’t twist) biscuits and place on an ungreased baking sheet. 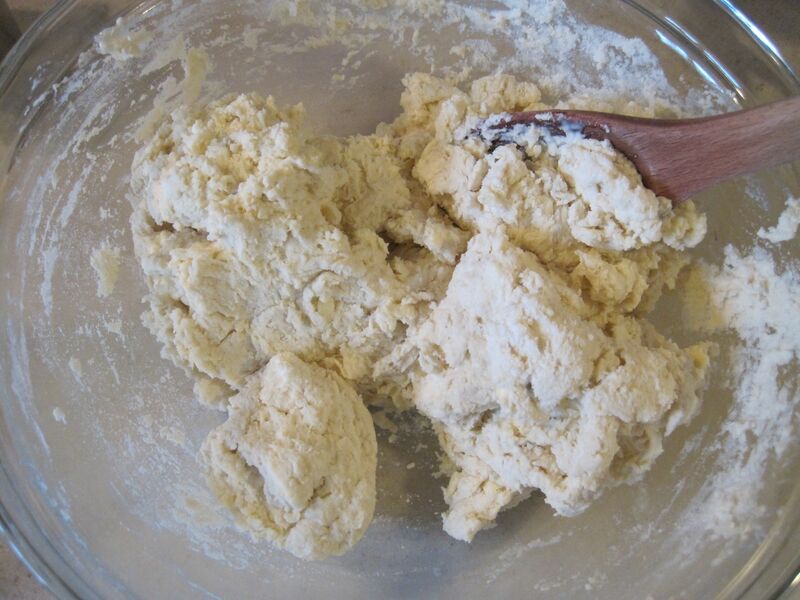 Gather dough together and repeat, so you have 8 biscuits. 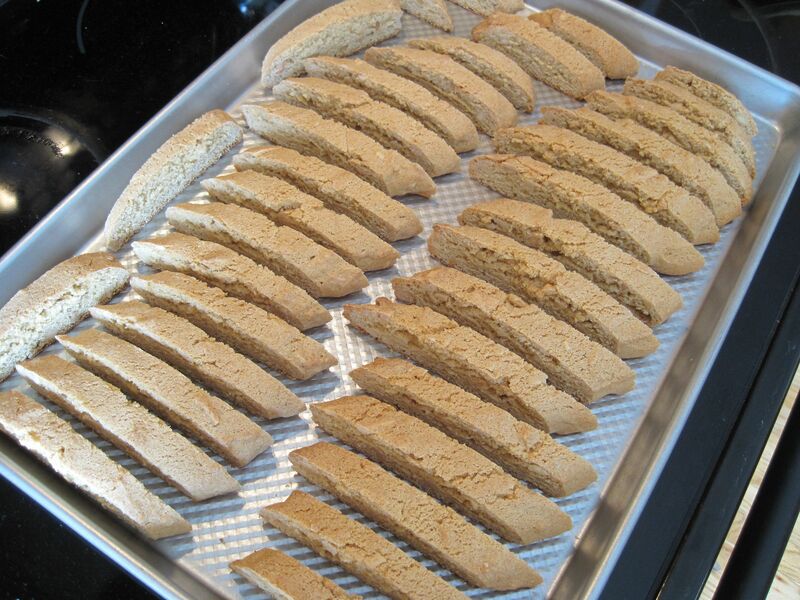 Bake for 15 minutes, or until lightly golden brown on top. 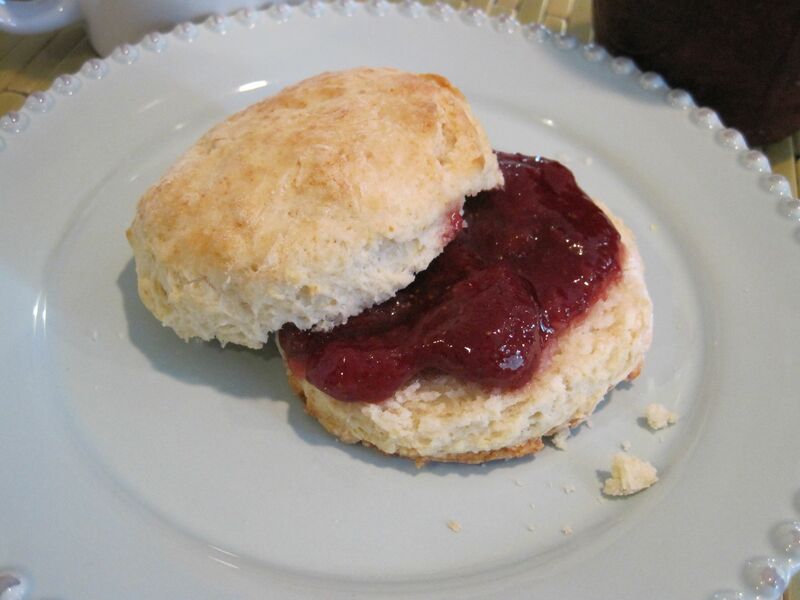 Serve with butter, honey, or your favorite jam. 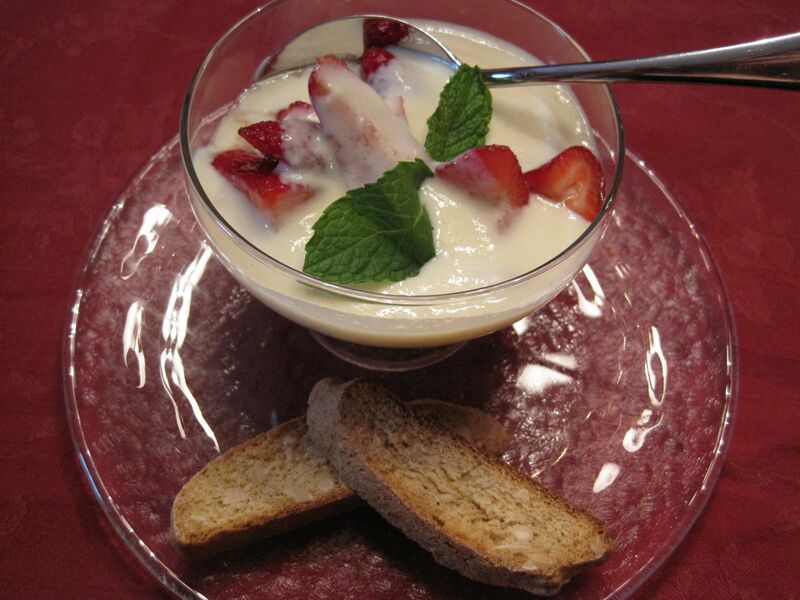 The Creme Anglaise and strawberries serves 6; the biscotti easily serves 6 with some to send home with your guests and some for you the next day with coffee. 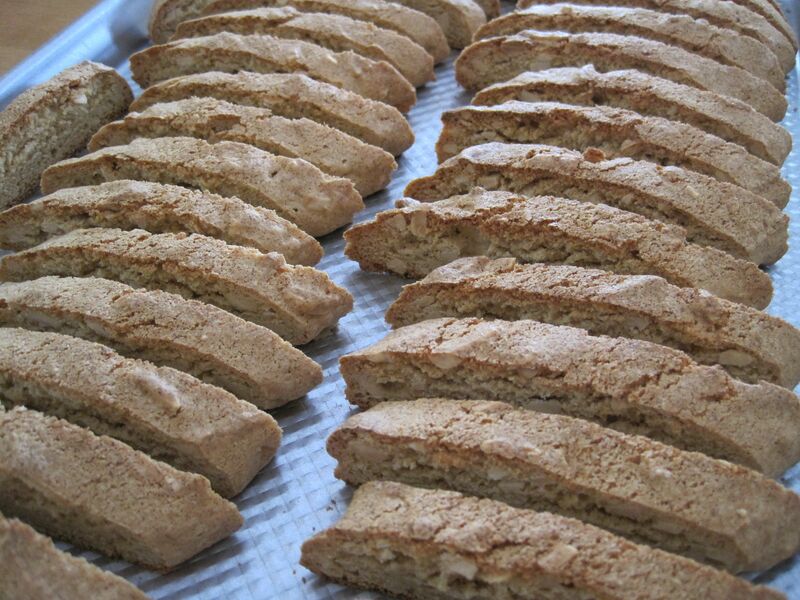 You can start the biscotti and while it’s baking, make the Creme Anglaise and slice the strawberries. 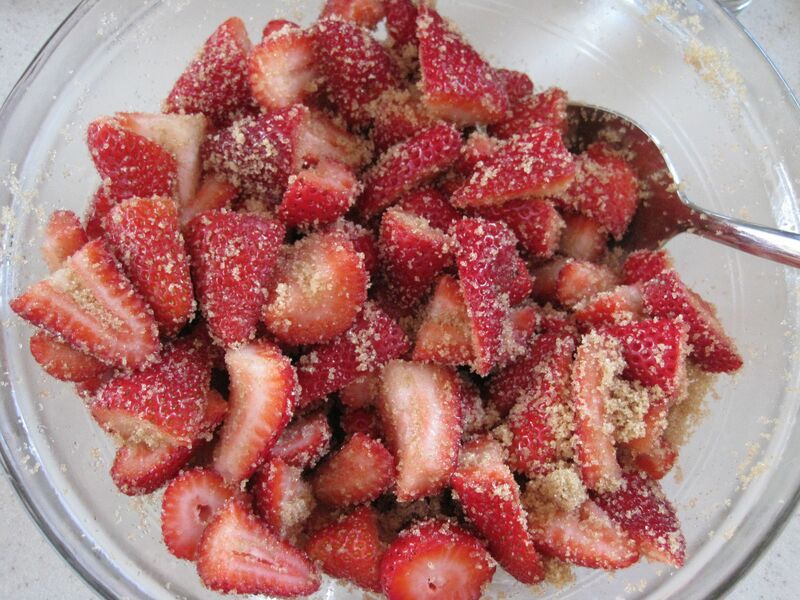 Right before you sit down for dinner, stir the brown sugar into the strawberries. 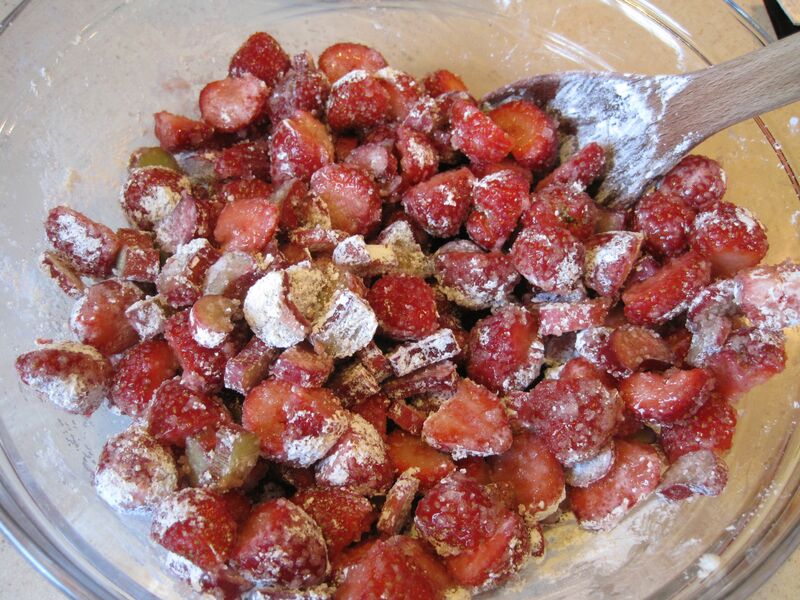 Combine strawberries and brown sugar about 30 minutes before dessert and let stand either at room temperature or in the refrigerator. 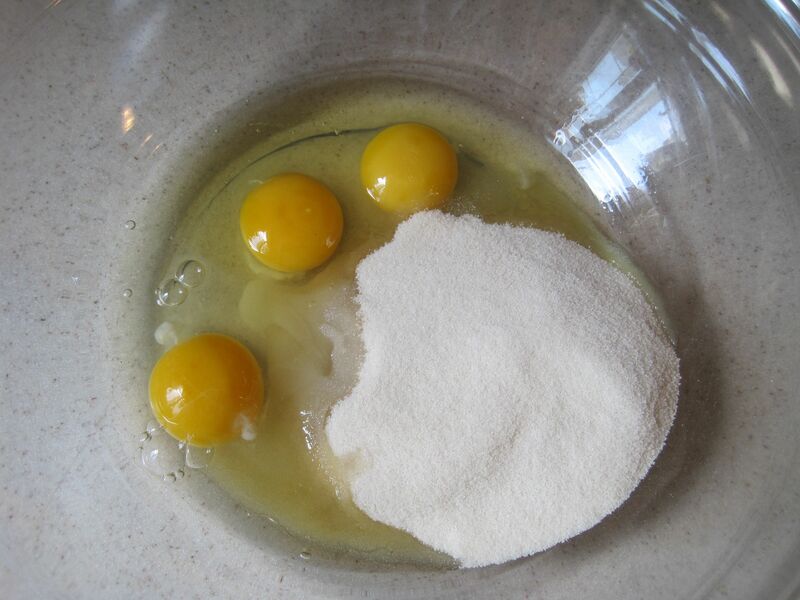 Whisk together sugar, salt and eggs in a large bowl. 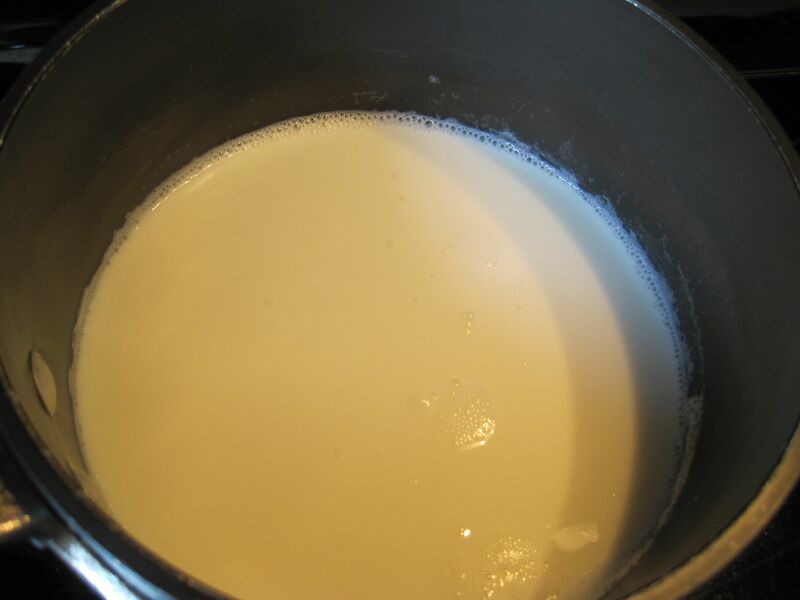 Heat milk in a heavy medium-sized pot over medium-high heat until bubbles form around the edges, or until a thermometer reads 180 degrees. 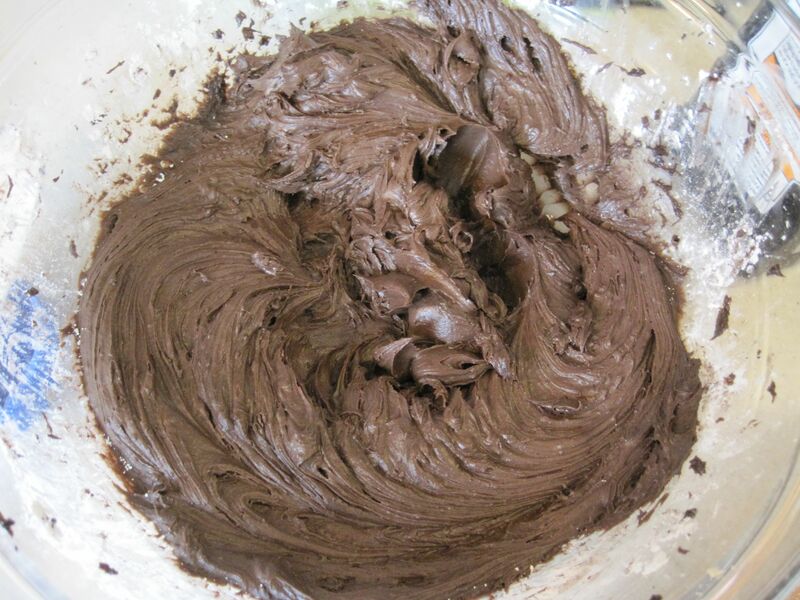 enough to coat the back of a spoon (takes about 5 minutes). Stir in extracts. 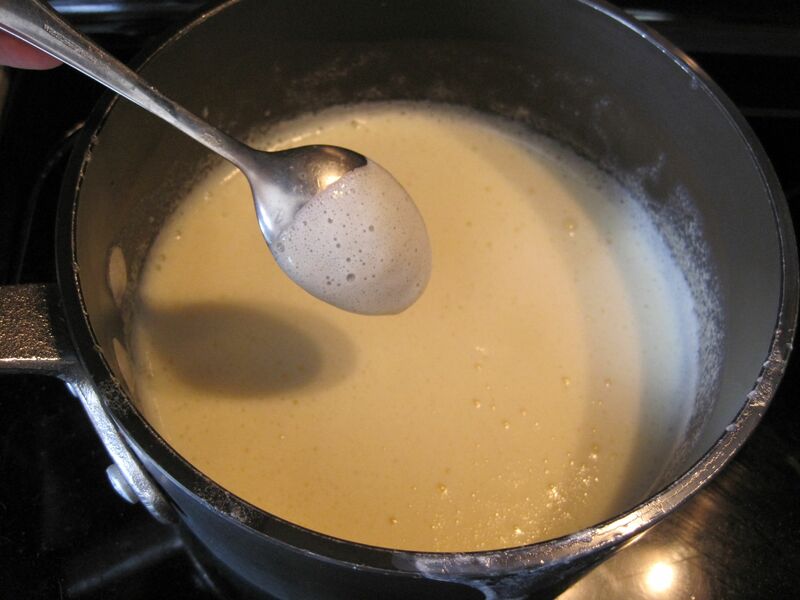 You can use the Creme Anglaise immediately, warm, or chill in the fridge up to 4 hours in advance. 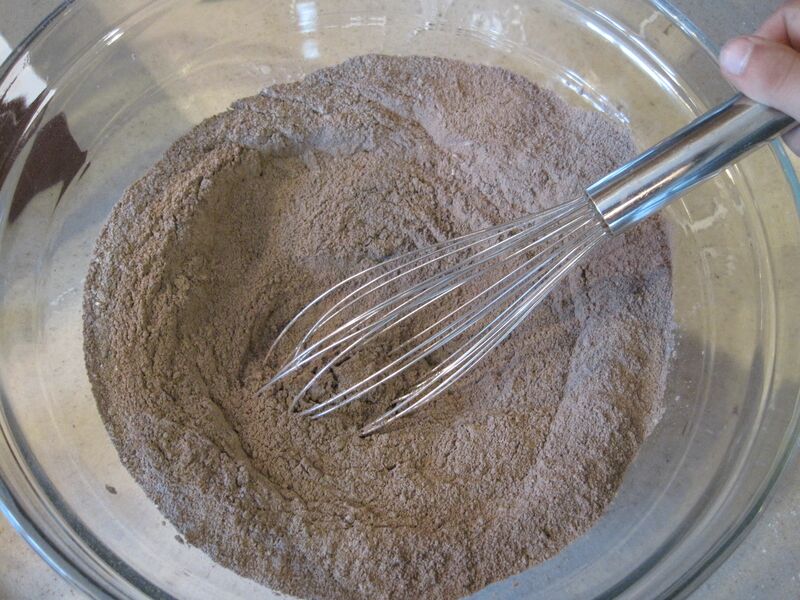 Whisk together flour through salt. 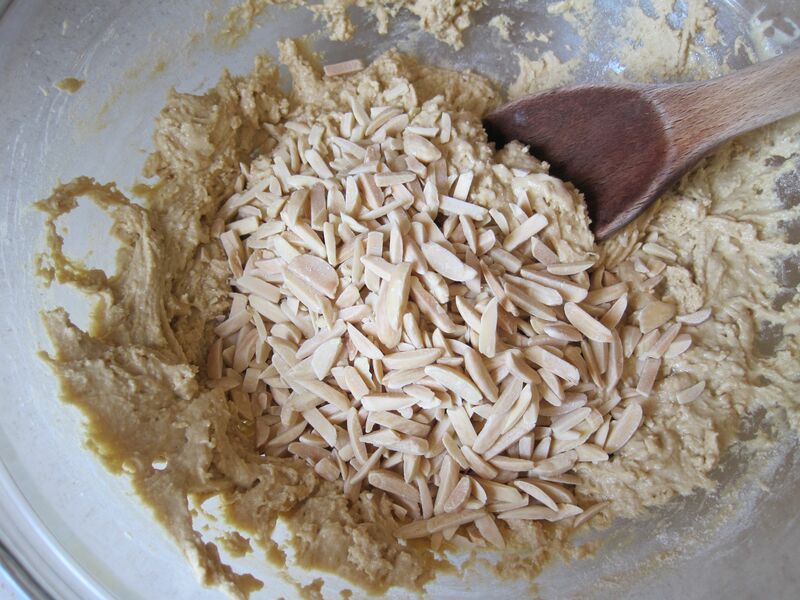 Stir in the flour mixture, then the almonds. 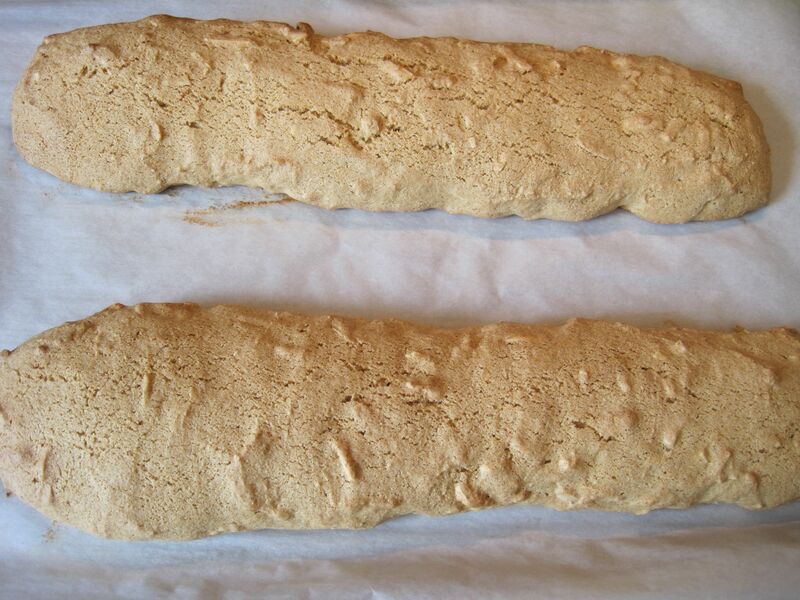 Place parchment paper over a large baking sheet. 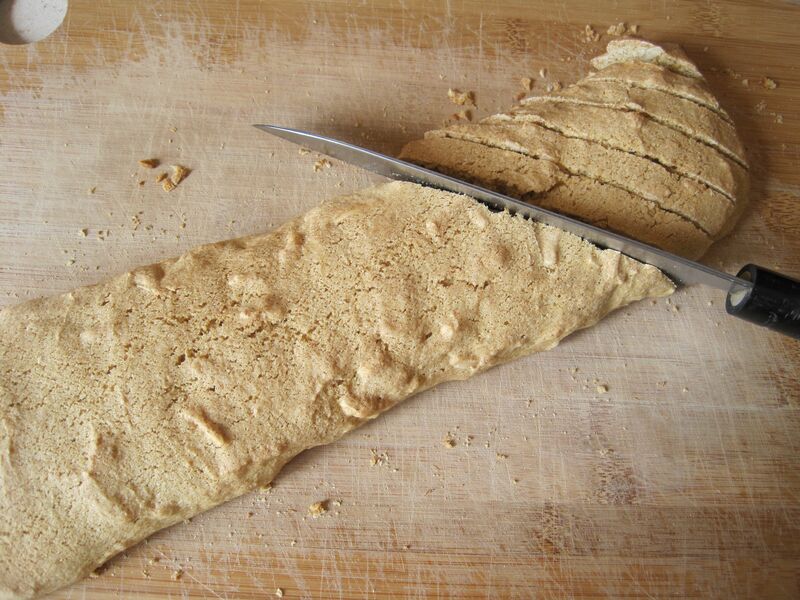 Transfer the dough to the baking sheet, forming two 12 – 13” long logs (use slightly wet hands to shape the logs). Bake for 30 minutes. slice the logs diagonally, into about 1/3 – 1/2” thick slices. until golden brown and crisp, about 15 minutes. Let cool on wire racks.